When the iPad got split-view and slide-over multitasking, the iPhone received an even more useful feature in the Low Power Mode, which extends the battery life of the iPhone by up to an hour. The iPhone offers a choice to enter Low Power Mode at 20 percent of battery power and then again at 10 percent battery power. The phone's Low Power Mode turns off certain features like background app refresh, removes some user interface graphics, and slows down the processor to help with battery life. The iPad does not come with a Low Power Mode, but you can get almost the same effect with just a handful of Settings tweaks. 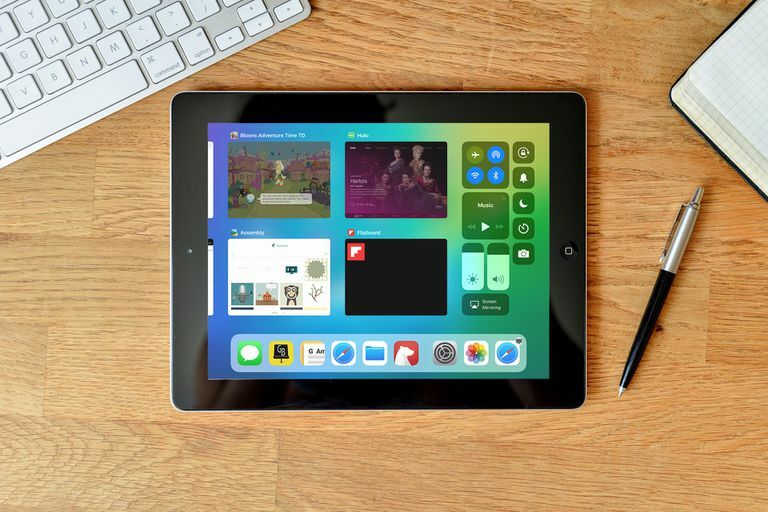 The iPad can't achieve a true Low Power Mode — there's no toggle for slowing down the CPU — but there are settings to change and sliders to manipulate to help out on battery life when you find yourself running low on battery power. Start by bringing up the Control Panel by sliding your finger up from the bottom edge of the screen toward the top of the display. This Control Panel is a shortcut to several controls that reduce battery usage. When you get to the Control Panel, lower the brightness of the iPad's display, which saves you a lot of battery power. You can also turn off Bluetooth by tapping the Bluetooth icon. If you don't need internet access, turn off Wi-Fi. These are three of the top ways to save battery life, and because they are all easily accessed from anywhere on your iPad, you don't need to go hunting through settings to find them. Another feature that can help if you need to squeeze as much power as possible from your iPad is the battery usage table. The iPad reports which apps have used the most power during the previous 24 hours, so you'll know which apps to avoid to preserve battery life. You can get to this information by going into the iPad's Settings app and choosing Battery from the left-side menu. Battery usage for different apps is shown in the middle of the screen. In a power emergency, you can also turn off Background App Refresh to prevent apps from contacting the internet and downloading data. You don't want a huge game update during a power shortage, and you can check for your email manually when you are ready. To reach Background App Refresh, go to Settings > General > Background App Refresh. Tap the slider at the top of the screen to turn off background refresh for every app on the iPad or make selections from the list if you must leave some of them turned on. Location services can be a drain on your iPad battery, so turn this feature off at Settings > Privacy. Tap Location Services at the top of the screen and toggle the feature to the Off position.